Nerium oleander is a fast growing evergreen shrub that performs beautifully as a landscape anchor plant, a natural screen, or planted along highway medians. Standard oleanders flower in shades of red, pink, and white, but other colors and varieties are available. Red-blooming Oleander are a striking feature in the landscape. Nerium oleander plants begin blooming in early summer and continue through mid-autumn. The flowers of the oleander form 2” blossoms in large showy clusters on the new growth of the plant. While their flowers don’t actually provide nectar, they trick pollinators such as bees and moths to pollinate them. When the shrubs are not blooming, their leathery-green leaves are very attractive and give your landscape a tropical flair. Oleanders are typically evergreen but can lose foliage or die back to the ground when they are exposed to temperatures below 20 degrees F. Often, plants will flush back from the root zone once temperature warm again in spring. 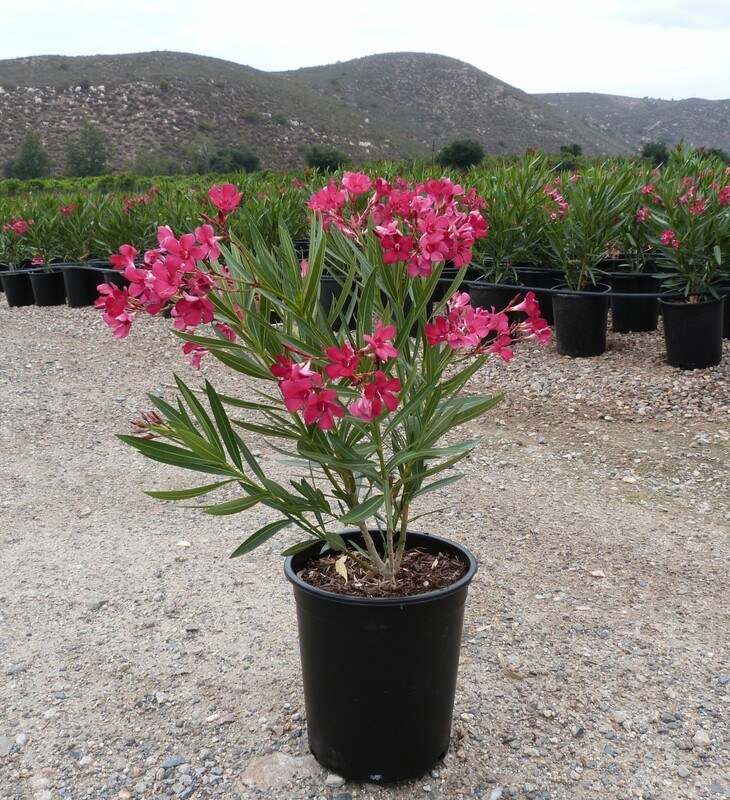 Oleanders can also handle radiant heat very well from nearby walls and pavements and are very drought tolerant. Oleanders can grow in a variety of soil types but require good drainage. If you need to prune or shape your oleander be sure to do it in early spring to avoid loss of flowers.